Karen A. Whelan, originally from Seattle, WA, gained a love for the mountains early in life. She now resides in Las Vegas Nevada where she is a practicing attorney. She enjoys hiking, kayaking, biking, writing. And she is always either getting back from one adventure…or planning another! Mount Everest. It has been my friend for more years than I can remember. It has helped me form goals that without that mountain in my mind’s eye, I would never have achieved. Now it is more than an inspiration, it is a destination. I will trek to the base of Mount Everest in March of 2012 and this blog will take me from now through the end of that achievement! 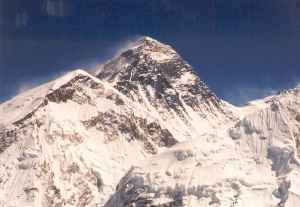 For me, the symbol of Everest was a life lesson, then it became a journey to a physical place. After that, it will return to the motivating element it has been in my life, and WhelanTrek will go from Life Journey to Trek and back to Life Journey again. The blog will follow all of that! !